a reader asked for ideas on how to style a simple sweatshirt, so i think i'll do a mini series on this theme. 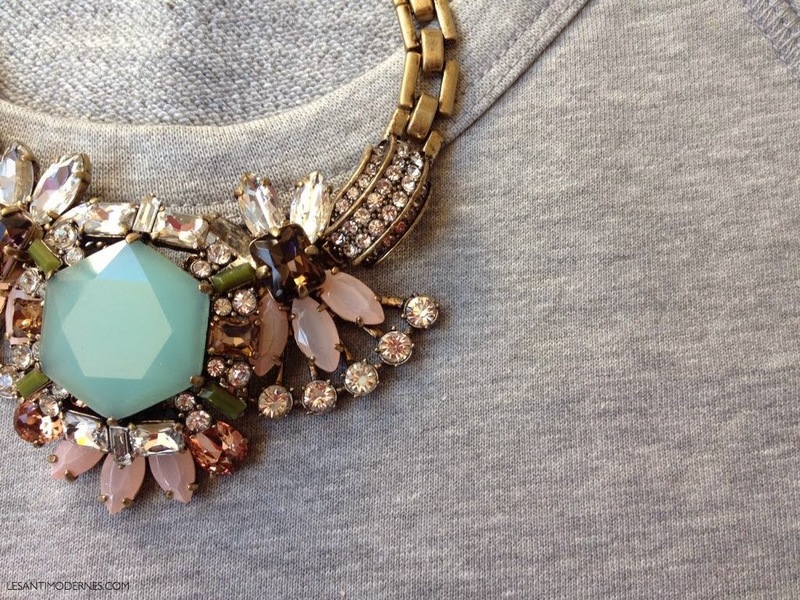 this week: in the mood to pair my cropped grey sweatshirt with a statement costume necklace. harmony in contrasts. what do you think? how do you like to wear your fave sweatshirt? Thanks for the post on this! I love it --- will try this and looking forward to more on this theme! I love the simple grey sweatshirt. So easy to dress up or down! It's by far my most favourite piece in my wardrobe.